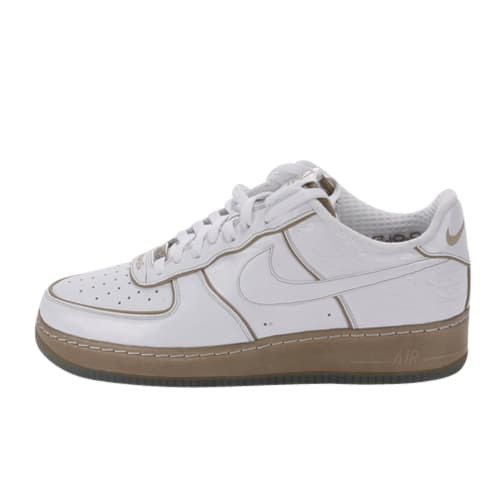 Nike Air Force 1 "Pro Bowl (White/Tan)"
"I heard Flight Club had the white Pro Bowls but I had never heard of them. When I finally did see the picture, I thought they were hard. I never got around to getting that pair though, plus it was a size 12, which isn't really my size. But then I finally came across someone who was selling them. He hit me with a crazy number and I never replied to him, so I guess after three weeks no one jumped on them. He hit me after that and then met me at my man Pete's store, where I got them. It ended up being someone really big, real big. I won't say his name. It wasn't an artist or anything like that, but he was royalty."